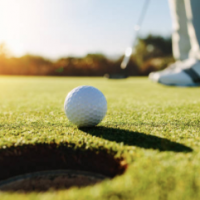 Evans Reporting proudly supports the Monumental City Bar Foundation’s 25th Annual Scholarship Golf Classic, which will be held on Mon., July 16 at Bulle Rock Golf Course in Havre De Grace, Md. The golf tournament is a fundraiser event for the awarding of student scholarships, as well as grants to organizations through the community. The fundraising goal for this year’s classic is $50,000. Companies and individuals can support the foundation’s goal by becoming a sponsor and/or registering to play golf. There are different levels of sponsorships available, and they can be viewed at: http://www.monumentalcitybar.org/golf-classic-sponsorship/. To register as a golfer, visit: http://www.monumentalcitybar.org/golf-classic/.